WE ARE A COMMITTED GROUP OF PROUd CHAMPIONS for THE RHINO. Percent poaching has increased across Africa since 2007. Rhinos are killed for their horns every day. U.S. dollars for each kilogram of rhino horn sold on the black market. Number of years left before extinction of rhinos in the wild. For five consecutive years the number of rhinos poached in South Africa alone has exceeded 1,000. Relentless and indiscriminate poaching means we will soon reach the tipping point – when overall rhino deaths outpace the birthrate. This iconic species is slipping through our fingers, possibly forever. We are here to take action while we still can. There is no time to waste. 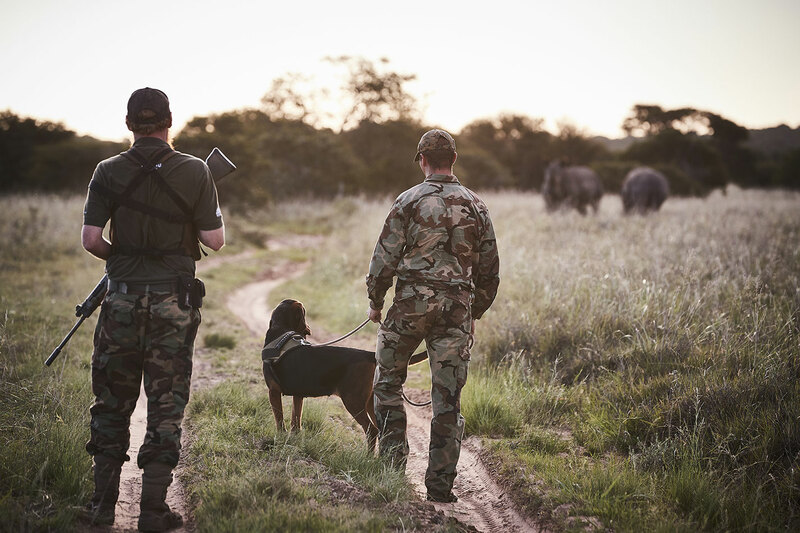 The Council of Contributors is dedicated to supporting “boots on the ground” and “eyes in the sky” organizations who stand in the ring, day after day, with the single-minded goal of protecting and saving rhinos. Nobody can tackle this issue alone, but when we pull together and harness the power of the collective — big things can happen. As a 501(c)3 non-profit that takes no salaries, only standard processing fees apply and minimal admin so 95% of your contribution goes to helping rhino. In my time working with orphaned rhino calves in South Africa I became increasingly affected by the strong bonds I formed with individuals under my care and the enduring, lovable personality each rhino had. In 2017, two of those special young rhino were killed by poachers, just weeks before their release back into the wild. Their small horns were violently removed. The senselessness of their deaths inspired me to create a platform where people who refuse to fail our rhino can join forces and do something to stop this tragedy. My hope is that all rhino are given their very best chance at survival. To live their full lives, protected and free. For that to happen we need a unified community, global commitment, plenty of gumption — and you. Calling all Contributors. Let’s do this thing. What we do is focused, nimble and uncomplicated. It is to identify and fund 10 to 12 key projects per year. We partner with large, small or grassroots organizations who save and protect rhinos on a day-to-day basis — and we support their needs. Back up to Kenya this month to visit our friends at Lewa Wildlife Conservancy who have a remarkable record of ZERO rhino poaching in 4.5 years. We checked in on black rhino orphan calf Kitui who we supported last year, and spent time doing field work with two rhino researchers from the University of Manchester doing their PhD on optimal breeding habitat and conditions for black rhino in Kenya. So much good work being done out there. I wish the rhino knew how many people were fighting for them with all the determination in the world to turn things around. The ongoing rhino poaching epidemic has had drastic negative effects on the remaining number of rhinos. The Black Rhino has dropped to below 3,500 animals. In the past, large animals which were seriously injured may have been euthanized. However, it has got to the point where all animals need to be saved if possible. 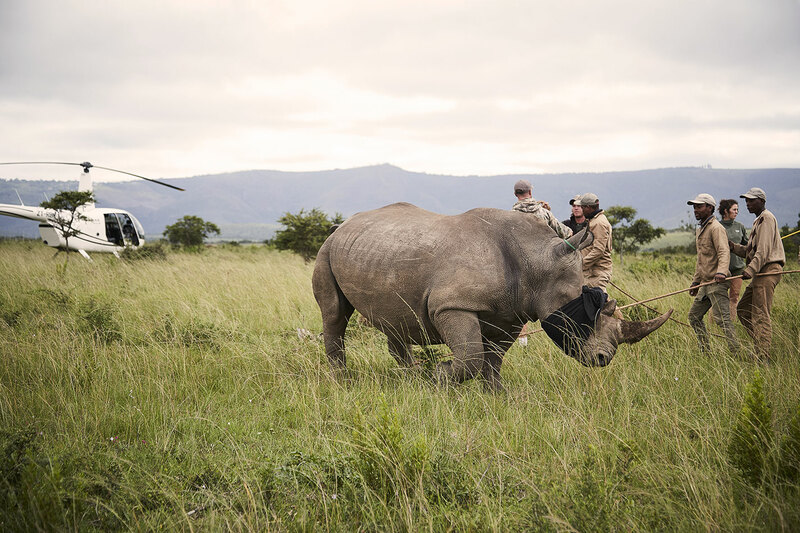 Treating adult injured rhinos brings many challenges. One is to have adequately equipped and constructed facilities to handle these large animals. The Council of Contributors is funding a customized, mobile, steel crate which will allow the Care for Wild team to safely treat and transport white and black rhinos in remote locations. Our funding goal for this project is $5,000.